Reality was setting in as I held the pamphlet to a local private school in my hand and began comparing the cost of tuition against our meager budget. I knew that this was not going to work. How were we going to afford this? Especially when little brother was going to be school age soon too, and what we did for one we had to do for the other. No, private school was not going to be an option for us and we would have to figure out something else instead. But, the sinking feeling that accompanied the thought of putting my 7 year old boy in public school (a very big and seemingly disorganized public school) let me know that it just wouldn’t be an option for us, either. The only thing left to consider was homeschooling. The thought alone struck panic in my heart. I didn’t know what a child my son’s age was supposed to be learning much less have the confidence to take on the sole responsibility of teaching it to him myself. I was college educated but had studied theology not pedagogy and homeschooling was just not something that I had anticipated in this journey of parenthood. I was rushed for time and feeling less than secure in my own ability to teach successfully so I reached for the first safe option: cyberschool. 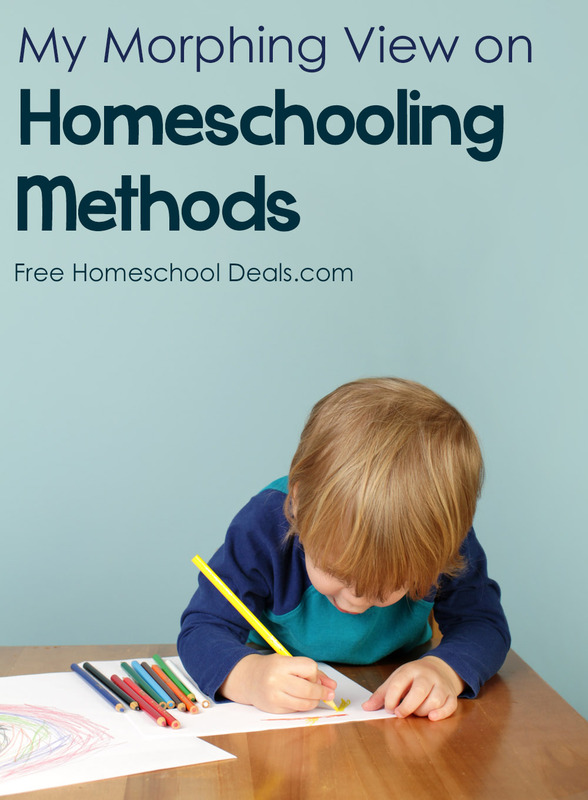 Since we started three years ago with cyberschooling, my viewpoints and methods to homeschooling have changed a lot. But, like any new endeavor or area of learning, it didn’t come all at once. It came in phases and the more I educated myself, spent time in the trenches of teaching, and gained confidence in my own ability, the more my approaches to homeschooling became a continually morphing view. Cyberschool was a great place to start for a parent like me with little confidence and many knowledge gaps. It helped me gain the confidence I needed and also gave me hands on practice with an elementary curriculum. I learned what the components of a good curriculum are and discovered the joy of teaching my little guys at home. They were actually loving it and so was I! My youngest son, then only 4, would beg to do school every morning…even before my first cup of coffee. I felt like a super hero. It was during this first year that I gained my confidence to teach, researched my state’s requirements, and began reading many, many, many books on homeschooling. One of the first books I read was The Well-Trained Mind by Susan Wise Bauer. The ideas in The Well-Trained Mind came at just the right time for me. I had done a lot of research on curriculum and was confident enough to begin assembling my own. I started mostly with recommendations that were made by Susan Wise Bauer in her book and went from there. Being a type A personality and wanting to start with the end in mind, I also loved the fact that this book was a plan for Kindergarten to Graduation, essentially. It was just what I needed. A plan. But, more importantly I learned about stages of development for a child and what tasks are accomplished in each stage. I also came to relish the idea of teaching History chronologically with the use of biographies. I had never been taught History this way and giving my children this privilege of our world’s story seemed amazing. We were also able to interweave our bible reading (essentially using it as our history spine) which brought peace with my values of passing on our faith and spiritual experience to our children as well. There were times though when I felt pressured to keep up with my lessons and began to stress because we were getting off track with the plan. How would be ever cover the Middle Ages by the end of third grade if we can’t get through our studies on Ancient Greece?! I started to stress that my children would not know who Abraham Lincoln was until they were teenagers and knew that something in this rigid style of teaching I had adopted had to give. That’s when I meet Charlotte Mason. The more I read about Charlotte Mason’s approach to learning, the more it seemed closer to my style of teaching than the rote memorization and rigorous grammar lessons of a classical education. We began to adopt shorter lessons with less worksheets. I began incorporating narration, copywork, and dictation interwoven with our other lessons, and removed pointless activities (twaddle) from our curriculum. But, the real joy that Charlotte Mason inspired in our home was the joy of living books. Instead of our textbooks we turned to the library (and amazon, hello!) to find books to read aloud on whatever was the topic at hand. Our bookshelves grew and so did my children’s joy for learning at home as we relaxed into a gentler approach to learning. Miss Charlotte’s ideas on living books have opened up a whole new venue for us which has spilled over into almost every area of our learning. Including Math. Now we do living math. It’s based on the same concepts of short lessons, with hands on activities, a gentler approach to drills and worksheets. You’ll want to check out this resource by Cindy West on teaching Living Math. It’s a sanity saver. My children were so burned out from math drills and math worksheets that I had to find another way. Lately I’ve been questioning how early and how forcefully we should be teaching very creative children math anyways. Who ever thought this type A mom would be contemplating “Unschooler” approaches? But, it’s true, I do. After just three years of homeschooling, my children are both so far outside of the grade level box that I am beginning to accept a new reality that they won’t probably ever fit into a normal school setting again. They have both begun to excel beyond grade level in their respective areas and it is so awesome to see. I guess my only question right now is how far off the grid do I want to go? Only time will tell but, my current area of study is based on the ideas of Thomas Jefferson Education and a delight directed lifestyle. To me, education is all about purpose. It’s something that’s inherent in us all. And if I can help my children, even from a young age, learn to trust their potential, I believe it will help them be happier and more fulfilled as they grow into adulthood. They already have passions, gifts, and abilities that are written into their genetic code by their Creator and if I can learn to teach them according to the way they are shaped, I will have taught them well. So obviously, I am just beginning to dip my toe into the arena of delight-directed learning and unschooling but, it’s something that I want to learn more about. I’m sure that my view on methods of homeschooling will continue to morph and change, as they should. As long as we’re living and growing, we never stop learning. But, most certainly I don’t think that homeschool moms like me should ever over-think or over- analyze which approach you take. Simply the fact that you are the one teaching your child makes it the best education they could possibly have. And let’s face it. When the rubber meets the road, the pragmatic approach is always best. Eventually, we all find what finally works. And that’s the approach that I’m sticking to. we’re big fans of “doing what works”… I find that changes from year to year and child to child. Our homeschooling is always changing and evolving.